The report draws together employment statistics on over a hundred centres. It also taps into the Bartlett School at UCLs EPSRC funded Towards Successful Suburban Town Centres research project. This explores the importance of diversity, spatial morphology, and travel to work patterns, which have all been mapped. It draws on six case studies: Enfield, Harrow, Uxbridge and Wood Green, which are contrasted with Watford and Reading, which have both undergone a renaissance. It also makes use of a survey of local authorities to understand trends, a series of workshops, and inputs from Martin Simmons, formerly Chief Planner at LPAC. 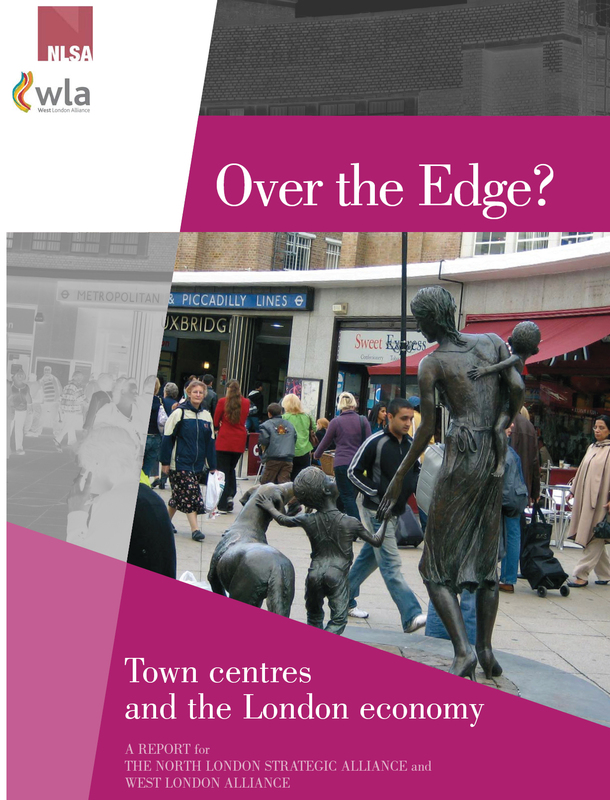 This report is intended as a follow-on to the work of Professor Ian Gordon (London School of Economics) and his report Future Growth in the Outer London Economy published in October 2006. This important piece of analysis identified a trough in employment growth projections for the outer London boroughs. Growth is much lower than that projected for either central London or for the outer metropolitan region. Though London is indubitably a World City, and competes on a global economic scale in terms of who it competes with and who it attracts, it is made up of many more parts than other comparable cities. Londons functional area stretches well beyond the area covered by the Greater London Authority, as many of Londons better paid employees live outside the area altogether. Hence the London economy is polycentric, and made up of many centres, which perform a range of economic, social and physical functions. The Mayor will work with sub-regional partnerships and other agencies to implement a polycentric strategy for Londons development with strong metropolitan and major town centres delivering a diversity of roles (GLA 2008, Policy 2A.8). The research also takes forward the recommendations from Robin Thompsons work for the GLA on outer London, which again argued for sub-regional alliance to take a lead on developing realistic economic models with their partners. This research breaks new ground in understanding the spatial distribution of employment among centres in Outer London and the Outer Metropolitan Area. An analysis of economic London in the 21st century suggests there is a real danger of some centres going over the edge as some American downtowns have done. The case studies confirm major deficiencies in the quality of the public realm but also reveal the potential for improving physical linkages. In many cases this means breaking through spaces that are either closed in the evening or permanently blocked to connect up different quarters, and create a first-class experience. Substantial improvements to the quality of transport interchanges are also needed, which requires Boroughs to work with Transport for London as well as private development partners. If town centres are to maintain their role as major sources of gateway jobs, then more work is required on how to build strategic planning and project management capacity. This could include using the case studies and information collected for this study as a means of getting joined-up thinking across departments, sectors and local authority boundaries, as some authorities are starting to do. Many of the boroughs have quite rightly placed town centres as a top priority for investment, but considerable efforts are needed to reverse the trends seen in outer London and to deal with new patterns of economic activity, residential settlement and movement. London is unique amongst world cities as being made up of many distinct places. This City of Villages (GLA 2002) needs to make full use of all its assets if it is to attain its aspiration to become an exemplary world city.